Cinnamon Hotels & Resorts partnered with MAS’ new travel wear brand, Leveza, for the Cinnamon Travel Bloggers’ Conference 2018 (Cinnamon TBC Asia 2018). 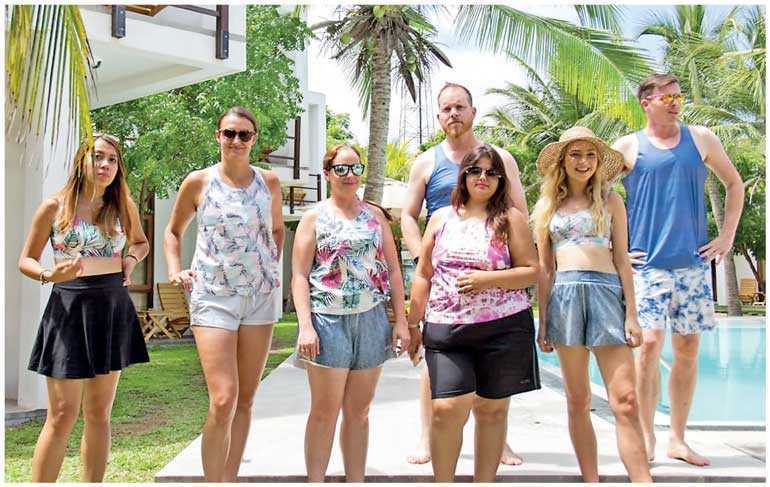 As a part of the partnership with Leveza by MAS, 60 of the world’s most influential bloggers were given the chance to sport exclusive outdoor wear designed by them while on tour around Sri Lanka. Conceptualised and fashioned over the span of three years by MAS Design Inc. in NY, Leveza is a reusable non-woven clothing range designed from an innovative fabric that is ultra-lightweight and air-dries in less than 30 minutes, revolutionising minimalist travel. The product range is dedicated to the adventure seekers, jetsetters and wanderers, redefining the future of travel; thereby being ideal for the bloggers hosted for Cinnamon TBC Asia during the tour covering all parts of Sri Lanka. The Cinnamon Travel Blogger Conference 2018 is supported by PTBA (Professional Travel Blogger Association) and PATA (Pacific Asia Travel Association), Official Airline partner – Sri Lankan Airlines, In association with Leveza by MAS, Telecommunications partner – Mobitel, Destination partner – Sri Lanka Tourism Promotions Bureau, Hospitality partner – Cinnamon Hotels & Resorts, Official Digital Partner – eMarketingEye, Inbound Travel partner – Walkers Tours, Engagement partner – Emovyz, Ayurvedic partner – Siddahalepa, Wellness partner – Spa Ceylon, Domestic Airline partner – Cinnamon Air, Souvenir partner – Lakarcade and Radio partner, Real radio and Kiss FM with Award Category partner – Harpos.